If you’re travelling to Mackay you will see a new friendly face great you at Windmill Motel and Events Centre – Ian Clark has joined the Southern Cross Motel Group team as our newest Manager. After graduating with a combined university degree, Ian knew that hospitality and tourism were in his DNA. 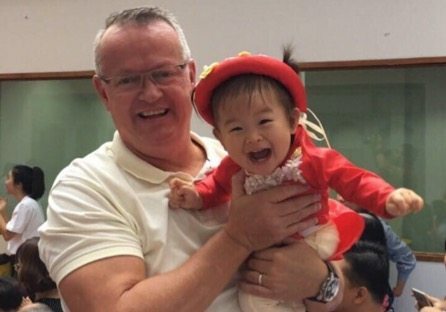 After many years working in international resorts and with major hotel groups, Ian has spent recent years living and working in Asia – destination – Vietnam. The cultural and culinary experiences were amazing not to mention the very ‘acquired skill’ of riding a Honda scooter to work every day in the heavily populated city of Ho Chi Minh City. Now Ian has decided that a move to regional Australia was a priority so that his young family could grow and experience life ‘downunder’. Ian’s passion is unsurpassed customer service and that is what each and every guest will receive in his new role in Mackay. Come and say ‘hi’ to Ian soon at the Windmill Motel & Events Centre and feel free to stay a while – the coffee is hot and the service consistently fabulous!